Hi everyone! My name is Katrina, your typical broke millennial. I’ve fallen into the trap of consumerism and debt. In 2012 I graduated with a BSN from a private college in Los Angeles, where I was born, raised, and am currently living. When I finished college I thought, “I finally made it!” I started working, had the best social life, and gave no regard to my finances. Little did I realize the debt would eventually become a burden. My burden: $180,000 in student loan debt. “I’ll pay it off eventually,” I told myself, while only paying the minimum amount. It wasn’t until the summer of 2017 that I really felt resistance trying to become financially independent. It had been 5 years since I graduated and had only paid off $40,000 from my student loan. Something had to change, much research was put into my upcoming strategy. I created a blog called Nurse Millennial to document my debt free journey and inspire others to also pay off their loans. One of the biggest “why” factors that pushed me to strengthen my debt repayment strategy was a Quarter-Life Crisis. Common in 75% of people ages 25-33 years old, they experience doubts in their career, finances, and personal relationships. Read more about my Quarter-Life Crisis here. Issues with my finances was part of my wake up call. There was one morning I remember distinctly. I sat at my laptop to check on my accounts. To my dismay, the amount in both my checking and savings accounts were equal to my credit card balance. Then consider the $140,000 student loan debt. Having a negative net worth burst my ego. Why did I want to pay off my loans so feverishly? Because I was almost 30 and felt like I wasn’t mature. I wanted move on to the next stages of my life without the stress and anxiety of trying to afford a decent lifestyle in the city and paying off a monstrous amount of debt. In debt is nowhere anyone should be if they want to get ahead with their finances or build wealth. I was paying $1450 a month to student loans! It irritated me to think that this monthly payment could’ve been put toward a mortgage or my savings account. I felt like I was working and not benefiting from the income. Before I had a plan to repay debt I seriously googled “how to get out of debt.” One of the topics that came up: Budgeting. It seems like common knowledge, but it wasn’t in my repertoire. My misunderstanding was, I earn this much therefore I can spend this much. I then put myself on a budget and became extremely aware of my spending habits. To start budgeting you first have to look at your expenses and identify where your money is going. Budgeting apps out there that can do this for you, such as Spendee. The list of my transactions were nightmarish! The main categories of my expenses were restaurants and retail. My spending habits were the worst. I went out to dinner with my friends almost weekly and out to the bars on the weekends. Consider the cost of a night out here in Los Angeles. The average dinner entree at a sit down restaurant is $15, $18 for an uber one way without surge prices, and $15 for a drink. Oh, and I also couldn’t live without $5 lattes! Almost every two weeks I’d refill my starbucks card with $25, totaling $50 per month on coffee. I went to music festivals and concerts with a “yolo” mindset. In total, I’ve spent $3,489 on music festival tickets alone. Read more about the cost of FOMO (Fear Of Missing Out) here. But wait, there’s more! On my days off I’d mindlessly wander through the mall or target and buy things I thought were “cute” or what I “needed.” When a new makeup palette or lipstick color came out I felt the need to buy it (all these makeup palettes and my makeup still isn’t that great!). Upkeep was also a majority of my expenses. 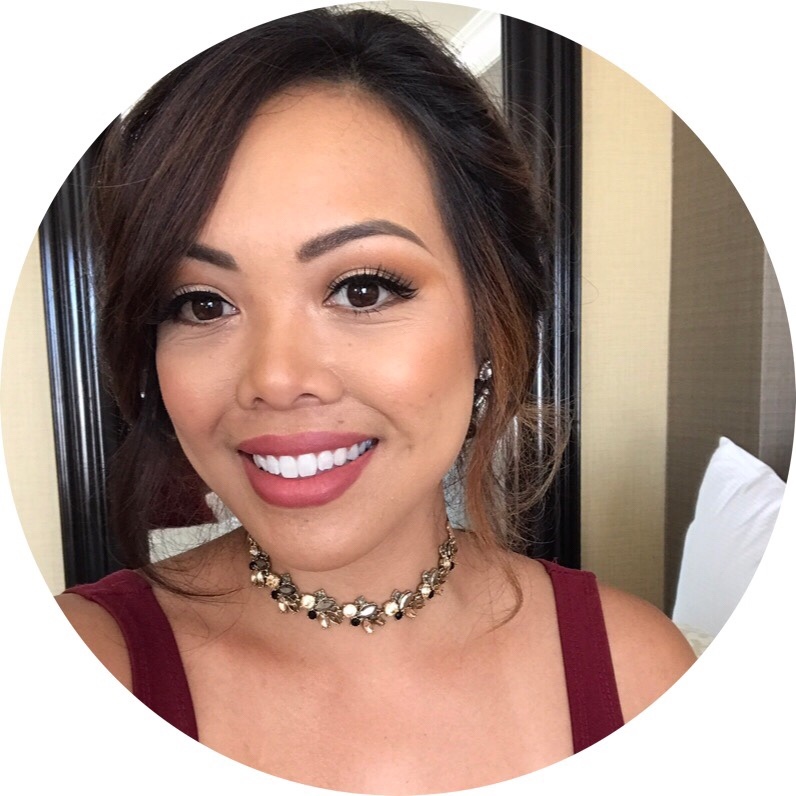 I spent about $30 per month on eyelash extensions, $60 average on my hair, and $39 per month on manicures and pedicures. My money wasn’t managed well, but I wore cute clothes, went out all the time, and had nice things. After identifying where my money was going I honed in on cutting out the unnecessary expenses. I would lecture myself with rhetorical questions like, do you absolutely need every new makeup palette that comes out? Do you need to go out every weekend? Have you ever heard of a grocery store where you can save money on food? Work was stressful so I thought I deserved what I spent money on. The “treat yo’self” mindset will cost you. Self care this and self care that can cost you too. Take care of yourself by taking care of your finances. Since being on a strict budget I’ve developed a minimalist mindset. No longer do I spend money on random things. When I’m debating on buying something I always have to ask myself if this is something I actually need or think I need. I’ve also developed frugal habits. I look at the price and think, is there somewhere else I can get it cheaper? Knock off brands and clearance items are my go to. If there’s a coupon out there for something I need, you better believe I’m gonna use it. I’ve never been so proud to be frugal! When you’re writing out your budget for the month, always include how much you’re gonna save before paying dues. I have two savings accounts, one is an emergency fund that is kept at $1,000 and the other is a sinking fund that I contribute 10% of each paycheck to. It’s important to have money for yourself in case of emergencies. I never had an emergency fund before. If there was an unexpected expense, I used a credit card, which eventually would continue to sit there accruing interest. Since I started budgeting and having an emergency fund, I haven’t had to use the funds. It’s interesting how things work out when you have a plan for your finances and stick to your budget. A sinking fund consists of money you don’t plan on investing or using toward debt. It could be for a vacation, a down payment on a house, etc. I’m recently engaged, so my sinking fund is now being buffed up for a wedding. I’m determined not to add to existing debt. It’s been a little over a year since I started sticking to my budget and paying off debt. Since then, I’ve paid off $56,167.41! I’ve developed strong budgeting and saving habits that I never had before! There are a few pointers that one should remember during their journey, whether its saving money or paying off debt: 1) Remember your WHY, 2) Stick to your budget, 3) Don’t compare your progress with anyone else’s. Read more on my plan to get out of debt here. 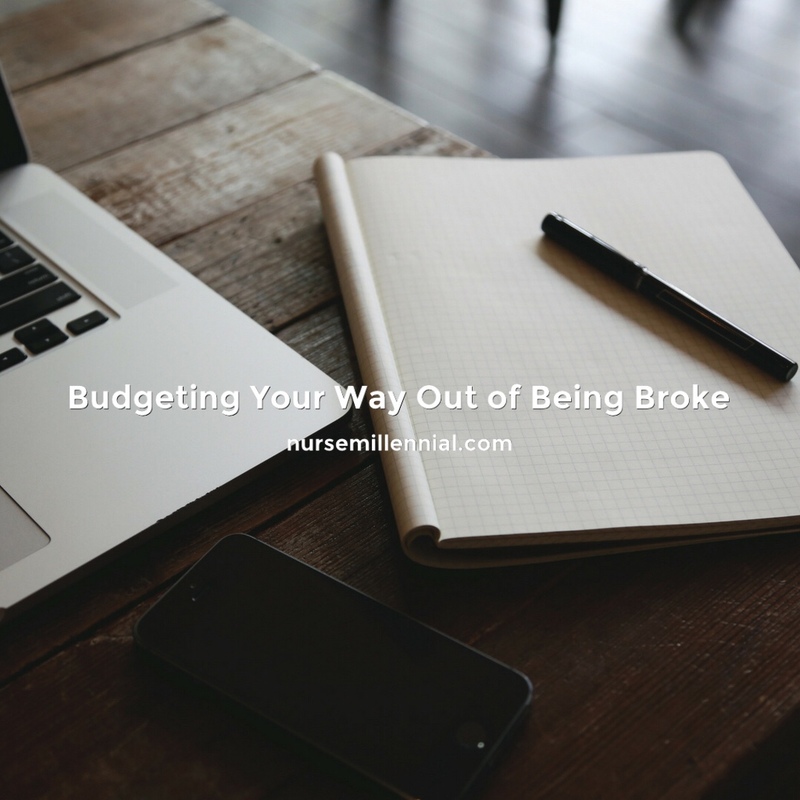 I’ve come across many people who ask about my journey to pay off debt then say, “Oh I could never put myself on a budget,” or “I don’t know how to budget.” I had those reasons along with many others myself. I mean, look at all the frivolity I’ve mentioned above! Once you remove the roadblocks and start somewhere, before you know it you’ll be plugging along at your budget, making financial progress you never thought you would have made.